Country Ranch On 2.16 Acres with 2 outbuildings, pond chicken coop and kennel. Home features 3 bedrooms, 2 full baths, partially finished basement. Entry level bathroom was remodeled. Newer roof, windows, siding, well and septic. Large living room features hardwood floors extensive natural light and fireplace. Florida Room, Plus Finished Basement W/Fireplace, Extra large mud room with fireplace, 2 car attached garage. Fireplace In Living Room And Family Room. 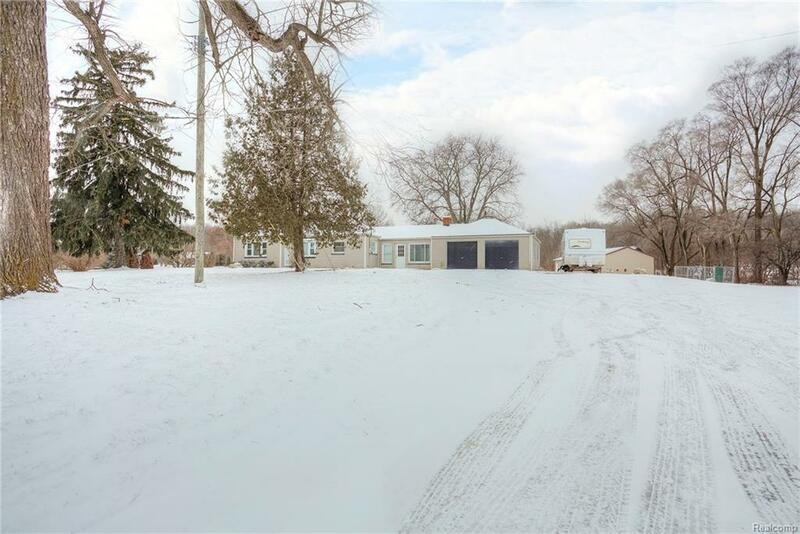 Great home for country living across from state land within close proximity to major road ways, shopping, Indian Springs and Pontiac Lake beach and campground.